Tambor received Emmys for outstanding lead actor in a comedy series in 2015 and 2016 for his work in "Transparent"
Actor Jeffrey Tambor, winner of the award for Outstanding Lead Actor in a Comedy Series for "Transparent" poses in the press room at the 67th Annual Primetime Emmy Awards at Microsoft Theater on September 20, 2015 in Los Angeles, California. He is set to receive a star on the Hollywood Walk of Fame on Tuesday, Aug. 8, 2017. A star on the Hollywood Walk of Fame honoring Jeffrey Tambor, known for his roles on the television comedies "The Larry Sanders Show," "Arrested Development" and "Transparent," will be unveiled Tuesday, Aug. 8. Joe Lewis, head of comedy and drama for Amazon Studios, and Mitchell Hurwitz, creator of "Arrested Development," will join Tambor in speaking at the 11:30 a.m. ceremony Tuesday in front of Iguana Vintage Clothing at 6320 Hollywood Blvd., near Vine Street. 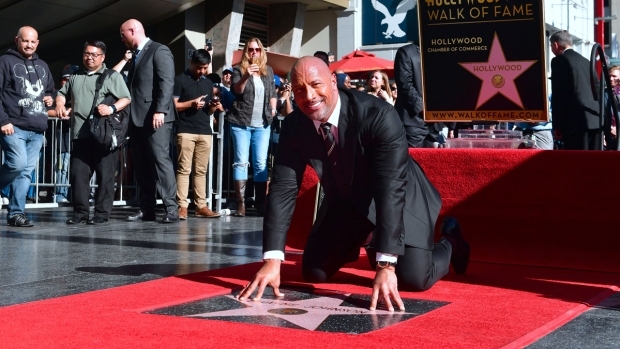 The star is the 2,617th since the completion of the Walk of Fame in 1961 with the first 1,558 stars. The ceremony, which will be livestreamed on walkoffame.com, will be the second consecutive star ceremony honoring a cast member of "Arrested Development," which ran on Fox from 2003-06 with a fourth season streamed on Netflix in 2013. Jason Bateman, who portrayed the son of Tambor's character, got a Walk of Fame star on July 26. 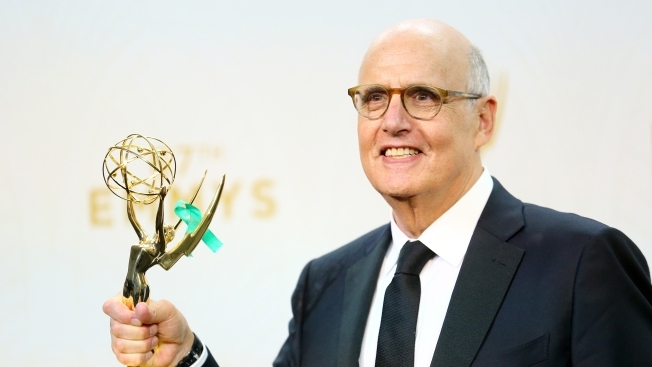 Tambor received Emmys for outstanding lead actor in a comedy series in 2015 and 2016 for his portrayal of retired college professor Mort Pfefferman, who comes out as transgender, on the Amazon comedy "Transparent." He is nominated again in that category for the Sept. 17 Primetime Emmys. Tambor received four supporting actor in a comedy series Emmy nominations for his portrayal of sidekick Hank Kingsley on the 1992-98 HBO series "The Larry Sanders Show." Tambor also received two Emmy nods in the category for his work on "Arrested Development," the first for portraying family patriarch George Bluth Sr. and the second for playing both that character and his identical twin Oscar. Tambor's other television credits include a supporting role on the 1979-80 ABC comedy "The Ropers"; the starring role in the 1986 ABC comedy "Mr. Sunshine''; a recurring role on the 1981-87 NBC police drama "Hill Street Blues"; and guest-starring appearances on "M.A.S.H." "Taxi," "The Golden Girls" and "Murder, She Wrote." Tambor's film credits include "And Justice for All," "Meet Joe Black," "There's Something About Mary," "City Slickers," "Miss Congeniality," all three "The Hangover" movies and both "Hellboy'' films.